Job searches can be very frustrating. But they don't have to be. Check out this article by guest author Gary Hawkins to discover the insider secrets about how companies like to fill jobs. Then put those techniques to work, and get hired faster! According to experts, it takes about five months to complete the average job search. If you are out of work, five months is a long time to spend searching for a job! Why does it take this long for the average job search? 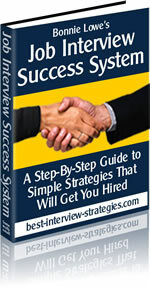 One of the main reasons is because most of the job seekers are using the same job search strategies. Most of them are using what might be called the "wait and hope" strategy. This strategy is composed of three primary steps. WAIT AND HOPE for an interview. This is the way we were all taught to look for a job, and so this is the main strategy used. Only about twenty percent of all vacant jobs are actually filled through advertising, and most people are not aware of this. This is a real eye opener for many if not most people. That leaves an overwhelming eighty percent of jobs that are filled without advertising. How is a job filled if it is not advertised? Through the hidden job market! So what exactly is the hidden job market? These are the jobs that are hidden from public view. Job seekers who look for jobs only through online advertising or the classifieds are totally left out of consideration for these jobs. Since eighty percent of jobs are filled in this manner, they miss out on most of the jobs that are actually available. For the job seeker who is willing to learn how to access this hidden job market, this is great news! There are five easy steps by which you can tap into the hidden job market. Following is a short description of each step. The first thing to do is develop a list of employers who have the kind of job(s) that interest you, at the locations you want, and are companies you would like to work for. This list of potential employers is your job opportunity list. Depending on your interests and needs, this list can be quite long or quite short. When you have your job opportunity list together, get on the Internet and research each potential employer. Go to the company's website and read about the company, it's products, mission, current news, etc. Then try and find the company's directory and use it to find out the name of the supervisor or director of the department you would like to be hired into. No, I haven't changed my mind. Although advertised jobs should not be the main means of finding your next job, you should still spend some time looking at what types of jobs are being advertised in your area. Especially look to see if there are any advertised jobs for companies on your job opportunity list. This is the method by which you will start separating yourself from the competition. Most people seeking a job won't make direct contact with prospective employers. Unless the prospective employer has posted a large blinking advertisement saying "We have a job opening, send your resume," they are not comfortable applying for a job. Make direct contact with potential employers and let them know about you, your experience, skills and qualifications, and that you are interested in working for their organization! This is not rocket science, but it really does work. By tapping into the hidden job market, you will be ahead of ninety-five percent of your competitors. Don't ever hesitate to make direct contact with employers. Employers like to use this hidden job market It is much cheaper and faster for them to fill jobs this way. Gary Hawkins is a Human Resources Specialist and entrepreneur.